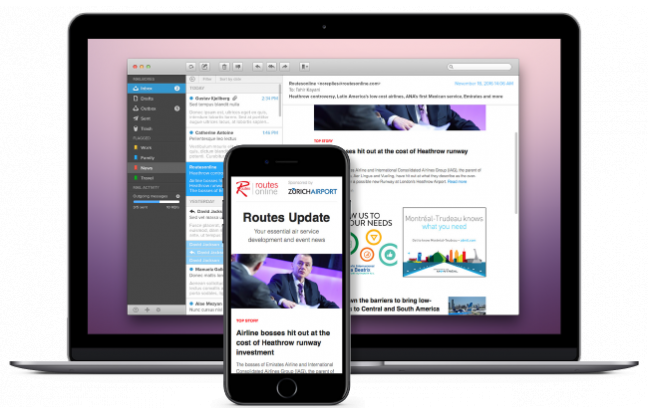 All recipients of newsletters, emails and alerts have opted in to receiving communications, ensuring your messages reach a highly engaged audience of route development professionals. Providing network news and analysis, our weekly newsletter is delivered to over 16,000 subscribers. Advertising keeps your brand at the forefront of the route development industry. Maximise your attendance or take advantage of the event buzz by advertising in the Routes Update event specials. Promote your brand and deliver your key marketing messages to over 17,000 subscribers. Sent to over 9,000 subscribers daily, Airlineroute email alerts feature breaking route announcements, cancellations and changes in schedule, aircraft and codeshare. Deliver bespoke campaigns directly in to air service development professionals inboxes. Reach a global audience of 12,000 users or target your campaigns to a specific region or industry group. Email us for further information about email marketing or advertising opportunities or call +44 161 234 2730 to speak to a member of the Routesonline team.